I’ve given 2 different copies for read the room snowmen. You can use these several ways. You can use the set with the letters on it and give a recording sheet to the kids to figure out what is missing or you can use the blank letter snowmen and use a different recording sheet for each child’s needs. 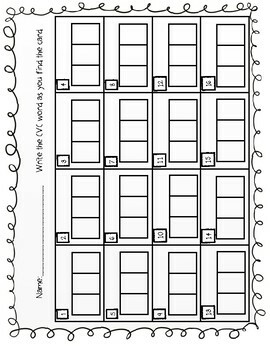 I've made 5 different recording sheets to accommodate each student. 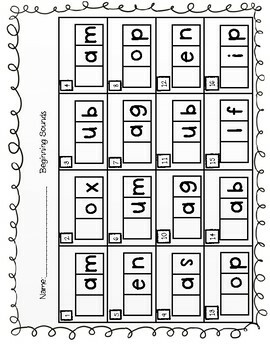 I have one for spelling out the entire word, trace the letters for the kids who really struggle, beginning sounds only, ending sounds only, and beginning and ending sounds in random order. 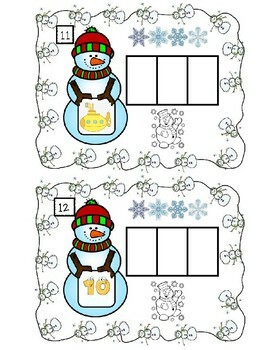 I thought if you used just the blank letter snowman you could give whichever recording sheet that fits the needs of your student for this center. You can also do the same thing using dry erase markers (after laminating the pictures) or use magnetic letters to use as individual centers and still use the correct recording sheet that fits your students’ needs. Up to you. You may also have other ways you could use these cards. Words used are: jam, fox, tub, ram, pen, gum, bag, hop, gas, wag, sub, ten, cop, cab, elf, and lip. 16 words in total.